← How Do We Deal with Difference? As with many meaningful relationships it took a while to fall in love with my Beloved. I suppose the early heady days of euphoria needed to be tempered by something that could weather the storms of life – that would see us through the “ups and downs” of things not going quite as planned. It’s true that I was initially magnetically attracted by the sincere goodness and truth that permeated my early encounters, but then as things progressed I found myself falling into a deep intimate love that completely enveloped me – and led me to committing my whole life. I was just six when we first “met”. It was on a beach mission in Guernsey, where we had just moved so as to be near my father’s family. A young energetic youth worker – who appeared for the summer and then vanished without a trace – gave me a little pamphlet entitled “Jesus Loves You”. I read it, prayed the prayer on the final page, and started a love affair of a life time. People ask me why I bother to get involved with a Church that seemingly doesn’t want to embrace me. My answer? It’s because of this wonderful loving Saviour that I want our whole world to know and encounter! He is the answer to all those who are alone, rejected, suffering, judged, broken and hurting – He has the balm that will heal their hearts and give them strength for each new day. He will bring them life – and life in all its fullness, giving a future and a hope. It is this Jesus I fell passionately in love with, and who walks with me every day of my life. It is this Jesus who whispers in my ear that I should love my enemies, and do good to those who insult me. It is this Jesus that I believe the whole of scripture points to and celebrates, and who leaves us in no doubt that we will encounter face to face one day. It is this man, who when he was here on earth, commissioned us to quite simply “love the Lord our God with all our hearts, souls and minds, and love our neighbour as our self”. What’s more, it is this Jesus who turns everything upside down – quite literally. He is the man who took on the oppressive religious leaders of His day – the Pharisees, Scribes and Sadducees – indeed, anyone who used the letter of the law to judge and enslave people rather than to breathe life and love. Jesus’ response was always to speak freedom and life into men and women’s lives, calling them forth into all that they were created to be and making them whole. The Jesus I read about constantly admonished those who tried to trap him and urged them to see that the Gospel of Love always triumphs over the Gospel of Law. When asked whether he should heal on the Sabbath, he responded “Is it better to save life or to kill?” and promptly went on to heal a man with a withered hand. He touched the untouchables and broke bread with the unlovables. He got so frustrated with those who judged that he called them “white washed tombs” and “hypocrites”, and told them to look at what was going on in their hearts. Most of all, He challenged them to test a tree by its fruit – and to recognise that good fruit cannot come from a bad tree. Later, hanging nailed to a tree – he looked at these same people and cried “Father, forgive them for they know not what they do”. That’s my Lover, my Hero and Friend. He suffered rejection and persecution – as many Christians continue to do for their faith today. 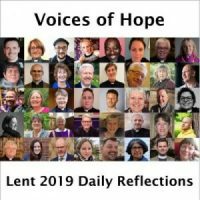 The thing that breaks my heart – and I am sure His – is that at the moment it is more often than not fellow Christians who are those doing the judging, the rejecting and the persecuting. May we somehow find the grace to echo His prayer, and ask God to forgive them – and for us to try and do the same.